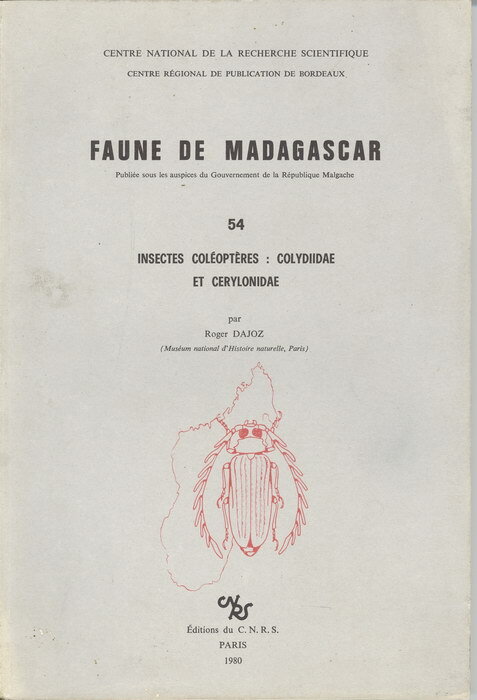 This issue, number 54 from the series "Faune de Madagascar", covers Malagasy beetles of the families Colydiidae (cylindrical bark beetles) and Cerylonidae (minute bark beetles). It includes 81 black-and-white figures, two tables, and seven maps. The ISBN for this volume is 2-222-02751-9 (2222027519); ISBN-13: 978-2-222-02751-5 (9782222027515). 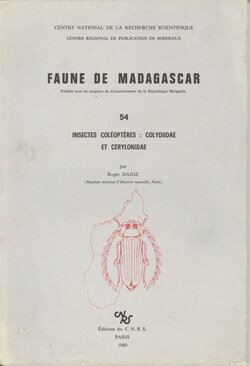 Printed on 28 November 1982 by UFI, Pessac, France.